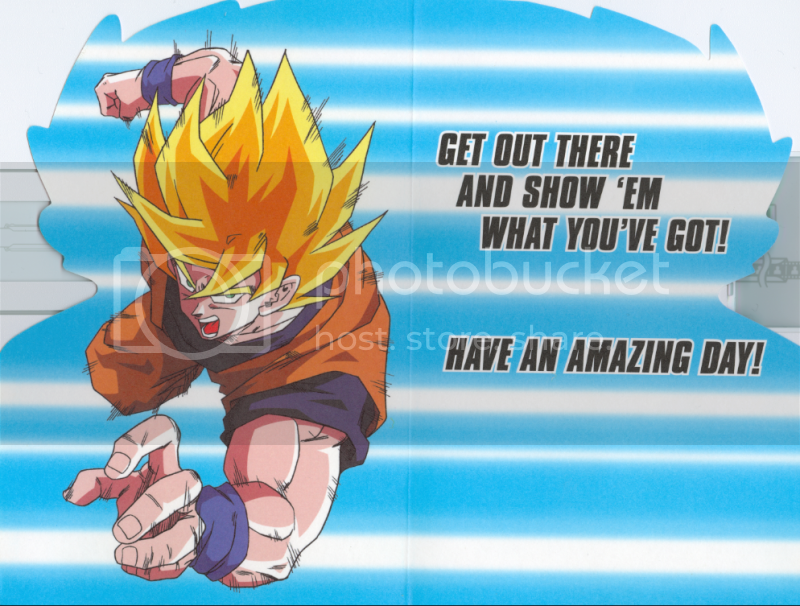 Dragon Ball Z Birthday Cards from 2001 | Welcome to "The Weasel's Last Fart!" 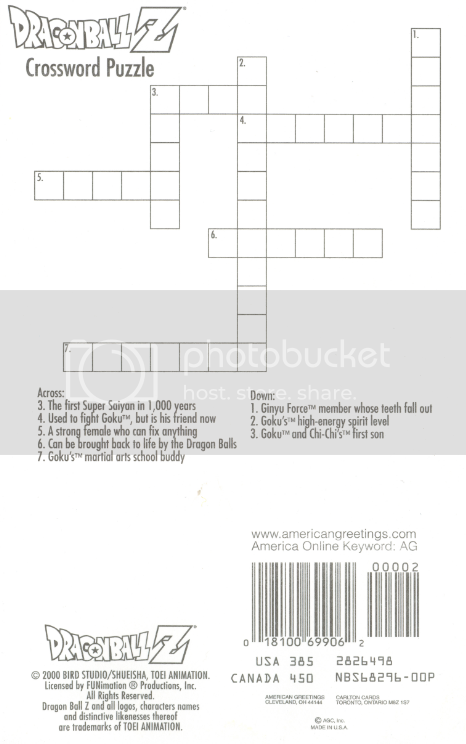 Here is another one. 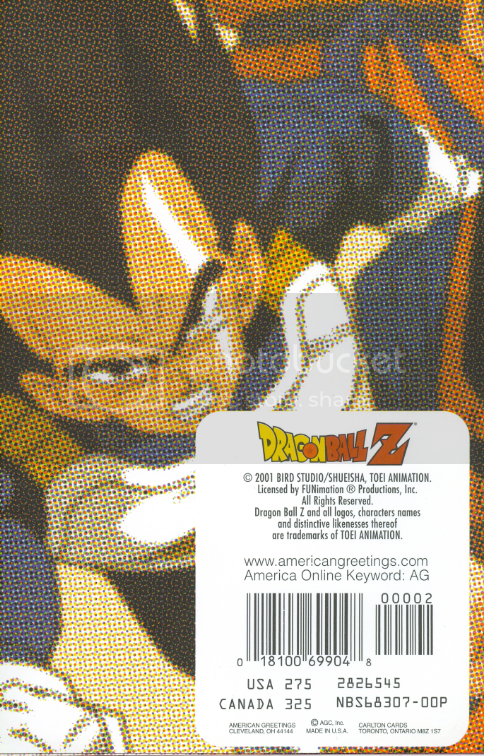 Yes the card is really supposed to look like that with all the blur spots and stuff. 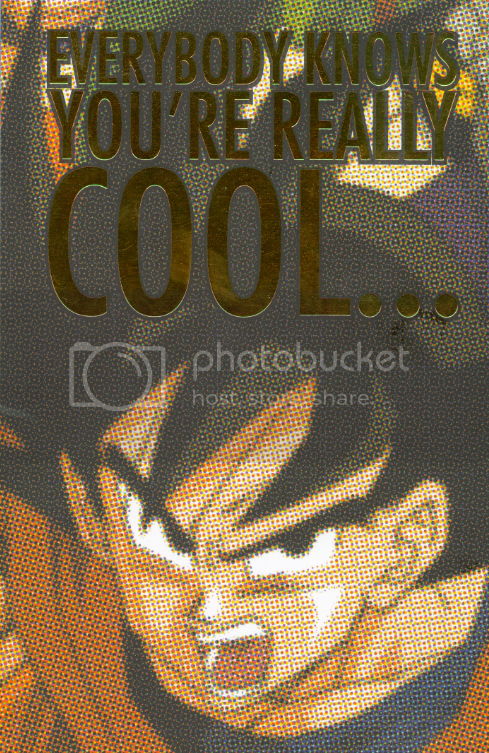 “EVERYBODY KNOWS YOU’RE REALLY COOL!” Isn’t that something your Dad would say or something? 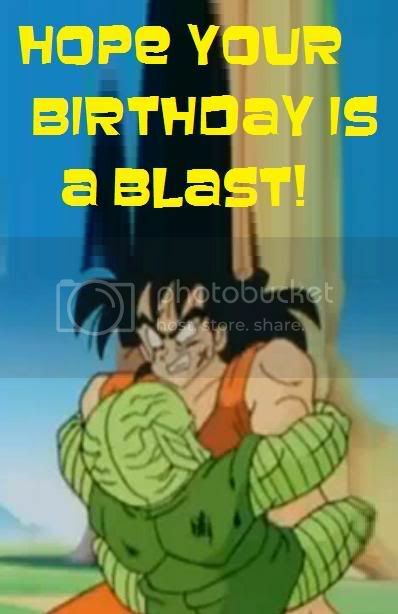 “HOPE YOUR BIRTHDAY’S COOL TOO!” Get it? Like you! You are cool remember? Everyone knows it! 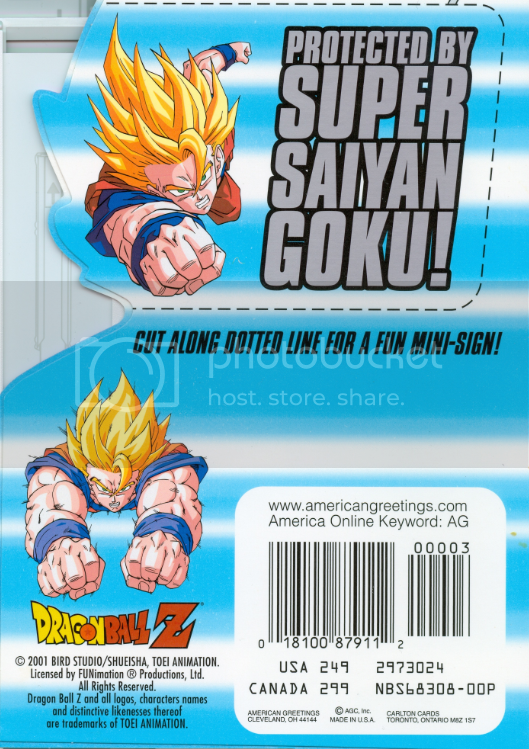 The back just shows Vegeta. 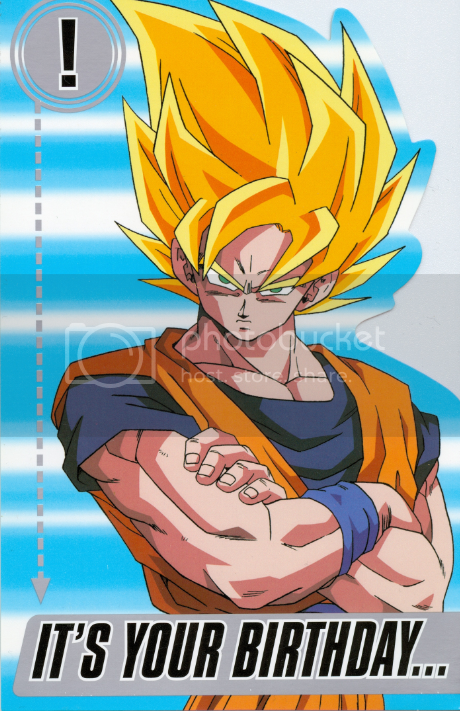 Why couldn’t he be in the card? Oh well I guess they figure American kids only like “good guys”. 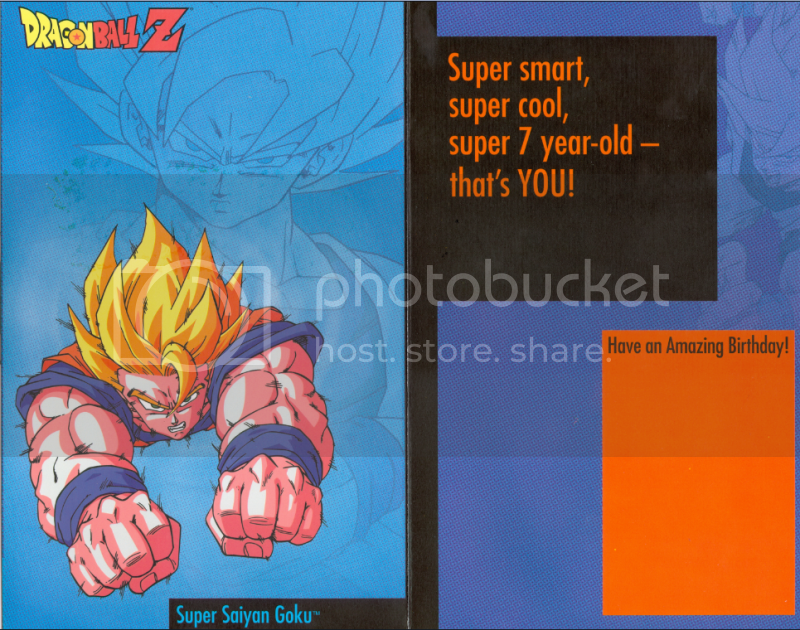 And lastly is this $4.00 card that had a bunch of crap to occupy kids for oh, about 10 seconds. 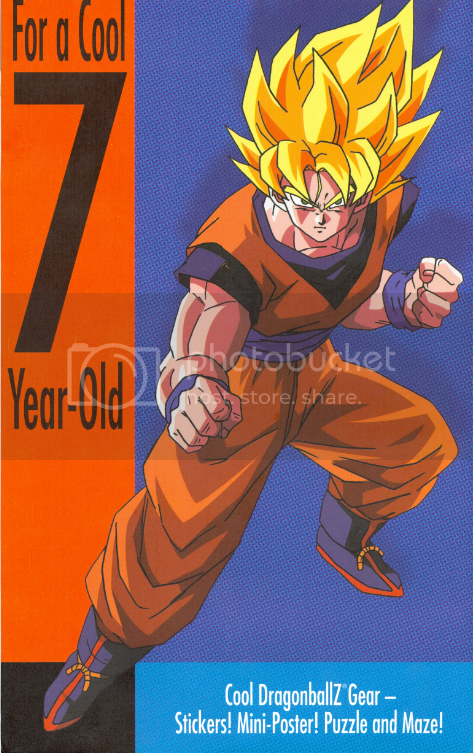 “For a cool 7 year old”… 🙄 This card is special because it’s the only card that isn’t in all capital letters. What the Hell? 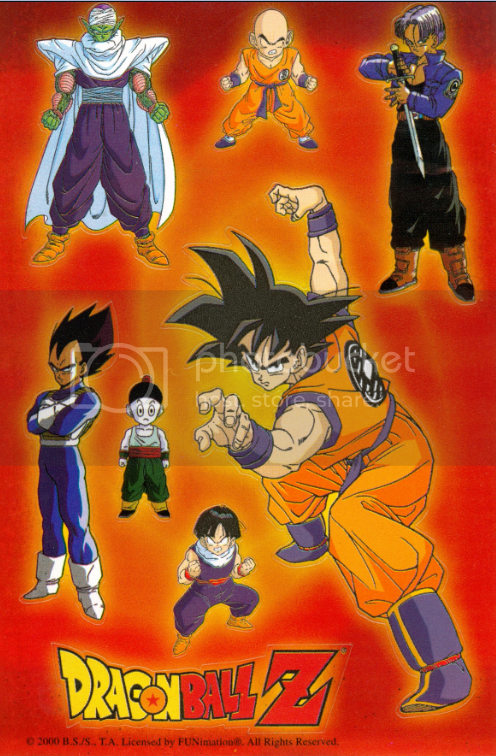 The inside: They consider that pink Goku image a mini poster! 😯 Why is he so pink? Is he just embarrassed to be on this card? 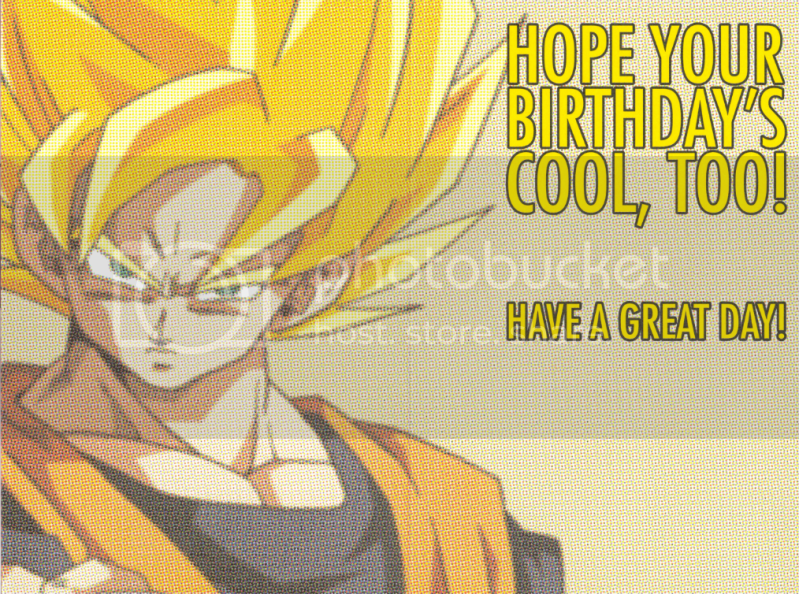 If you notice, none of the characters are smiling in any of these cards… Saddest birthday ever! 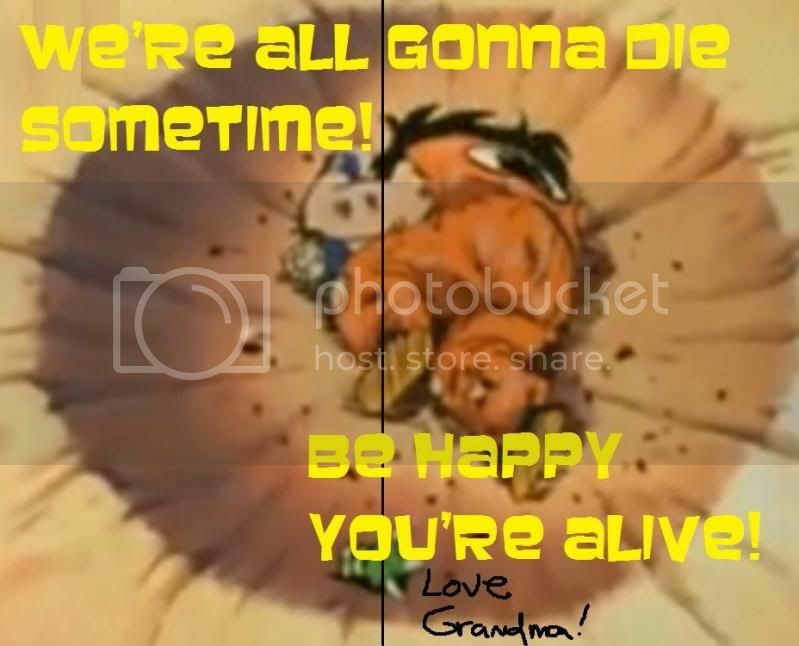 Let’s just put a picture of dead Yamcha in them next time.